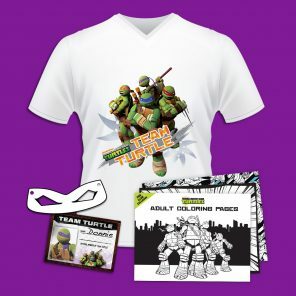 Enter for the Chance to Win a TMNT x Melo Prize Pack! Text MELO to 91757 to enter for the chance to win now. What happens when one of the biggest NBA superstars (and biggest TMNT fans) teams up with the Ninja Turtles? You get TMNT x Melo, of course! That’s right. NBA All-Star Carmelo Anthony has teamed up with Nickelodeon to bring you a line of boys’ apparel and accessories, all inspired by everyone’s favorite crime-fighting, sewer-dwelling turtles, exclusively at Macy’s. To celebrate the launch of this new line, we’re giving away prizes! 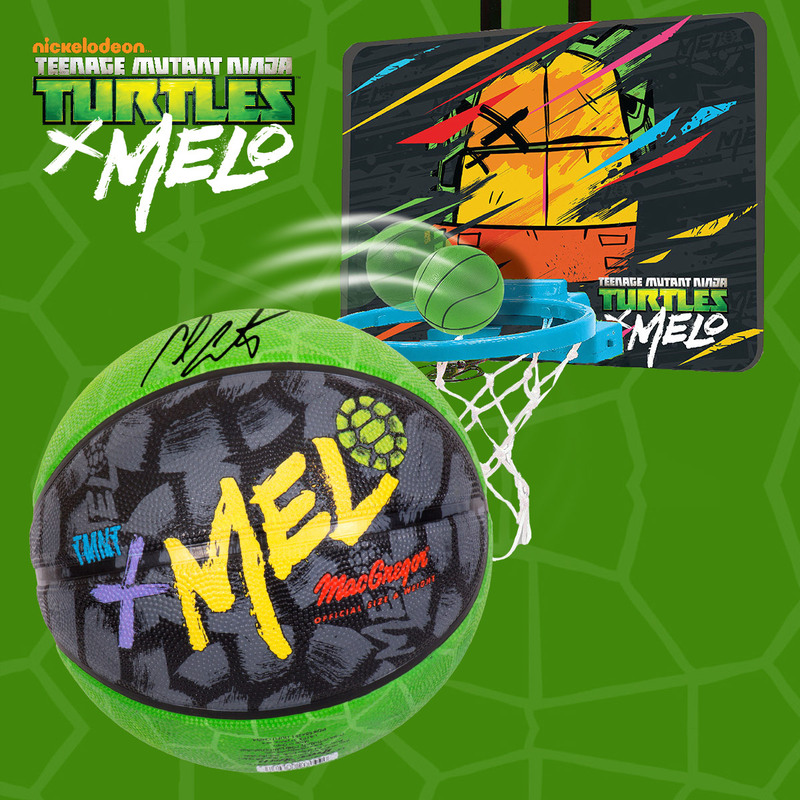 10 winners will each get a Carmelo-Anthony-autographed TMNT x Melo basketball, plus a TMNT x Melo Over-the-Door Hanging Hoop Set. What are you waiting for? Entering is easy: Just text* MELO to 91757 for the chance to win. To browse the full TMNT x Melo line, click here or visit your nearest Macy’s store. *Message & data rates may apply. Text STOP to opt-out, HELP for info. NO PURCHASE NECESSARY. Many will enter, few will win. Void where prohibited by law. Open to legal residents of the fifty (50) United States or DC who are at least 18 years of age or older at the time of entry. Minors need permission from their parents to enter. Begins at 12:00:01 a.m. Eastern Time (“ET”) on 5/13/16 and ends at 11:59:59 p.m. ET on 6/1/16. To enter, either send a text message containing the word “MELO” to 91757 or send an email with the word “TMNT MELO SMS SWEEPS ENTRY” in the subject line to nickelodeon@nick.com. Ten (10) winners will each receive a prize. The approximate retail value (“ARV”) of all of the prizes is $1,199.90. Odds of winning based on the number of eligible entries received. 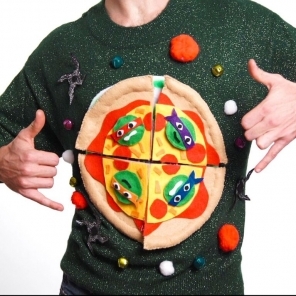 For complete rules and eligibility requirements, visit http://at.nick.com/TMNTxSweeps. Sponsor: Viacom Media Networks, a division of Viacom International Inc., 1515 Broadway, New York, NY 10036. 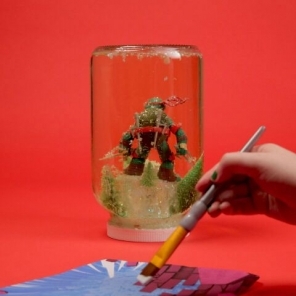 Get Your TMNT Fan Club Ninja Kit!